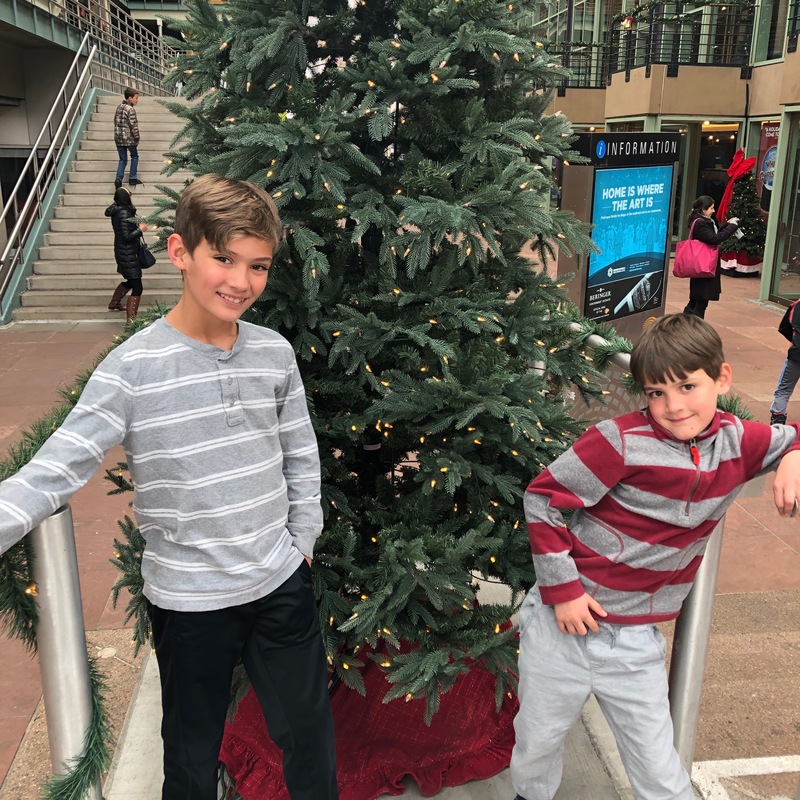 Before I post about specific events like Micah’s 7th birthday, how we celebrated Advent and our Christmas travels, I wanted to try to wrap up some pictures from around town at the end of November and beginning of December. My apologies if these pictures have already been posted. 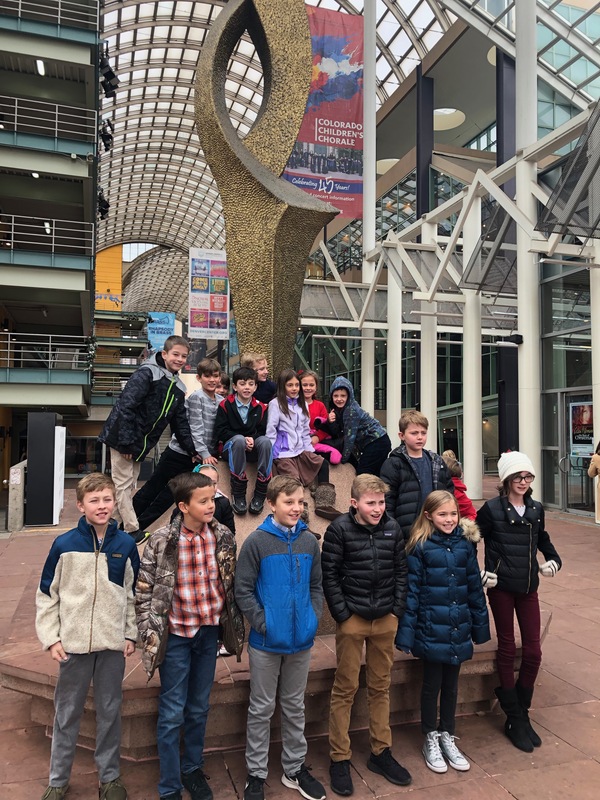 We enjoyed a field trip with a bunch of kiddos from our CC group to see “Drums of the World” at the Denver Center for the Performing Arts. It was lots of fun! 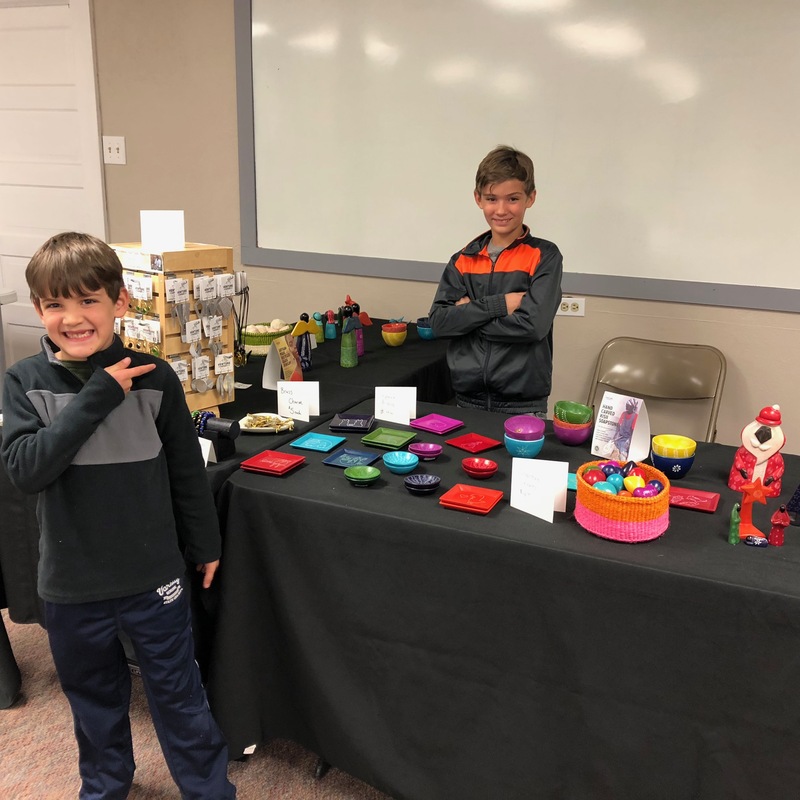 The boys and I sold Jennie’s products at our church’s Global Bazaar – something we’ve been doing with (and without) Jennie since before Micah was born. We sure enjoy helping her in this way! Two quick pictures of family to begin the month – 1) we sent our beloved Packers helmet onward and got a picture of Abe enjoying it! 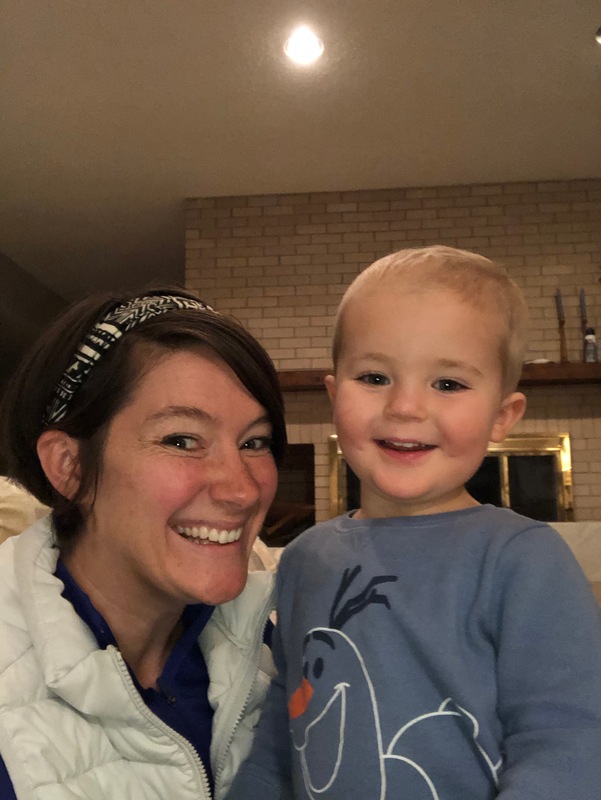 and 2) we celebrated Caleb’s 2nd birthday! Meanwhile, at home…I did get sick for a couple days while he was gone. The boys handled things incredibly well. We had a little church service at home and even had Chipotle delivered to the house for the boys. Ha! 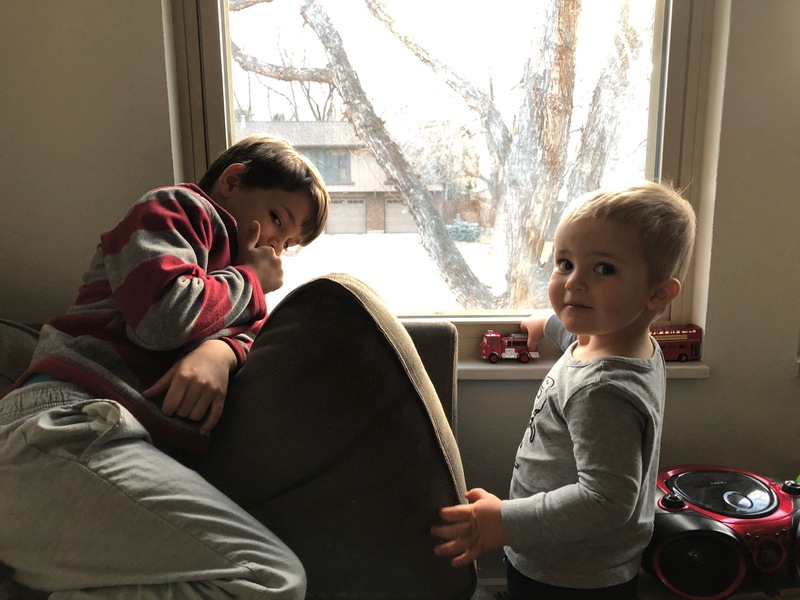 Ethan still was able to go to see cousin Matthew’s play that day, but Micah wanted to stay home to make sure I’d be okay. Thankfully whatever that sickness was didn’t last long! We had a play date, went out for dinner with Reggie, and I did some painting. We also re-instituted rest time for weeks when Mike is out of town and that really saved my sanity. I just need little breaks so that I can be patient and joyful and not irritable and annoyed. The boys have been rocking these rest times with paint by stickers, listening to story of the world, doing sudoku, etc.. Sometimes the boys want to “play school” and I always find it very humorous. 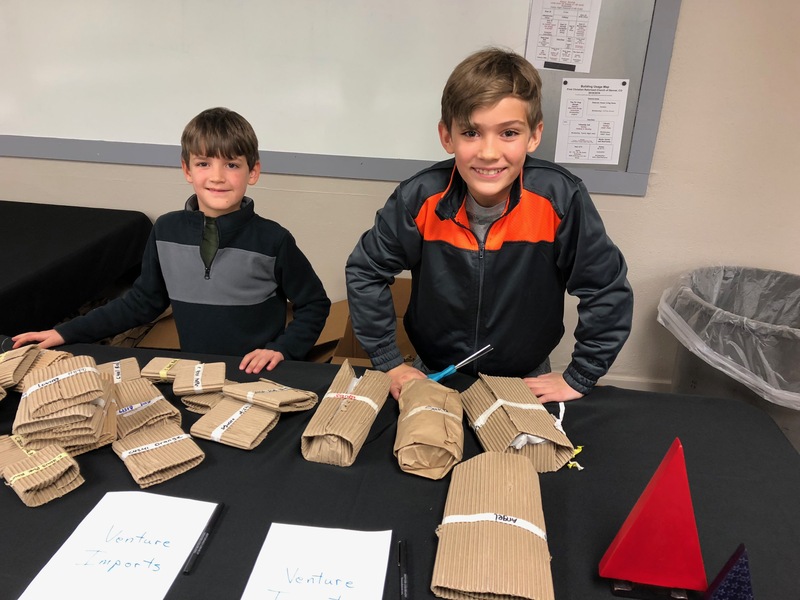 Micah loves to be the teacher and Ethan absolutely LOVES spelling tests and asks for lots of words. Hanson’s new CD came out and it’s great. 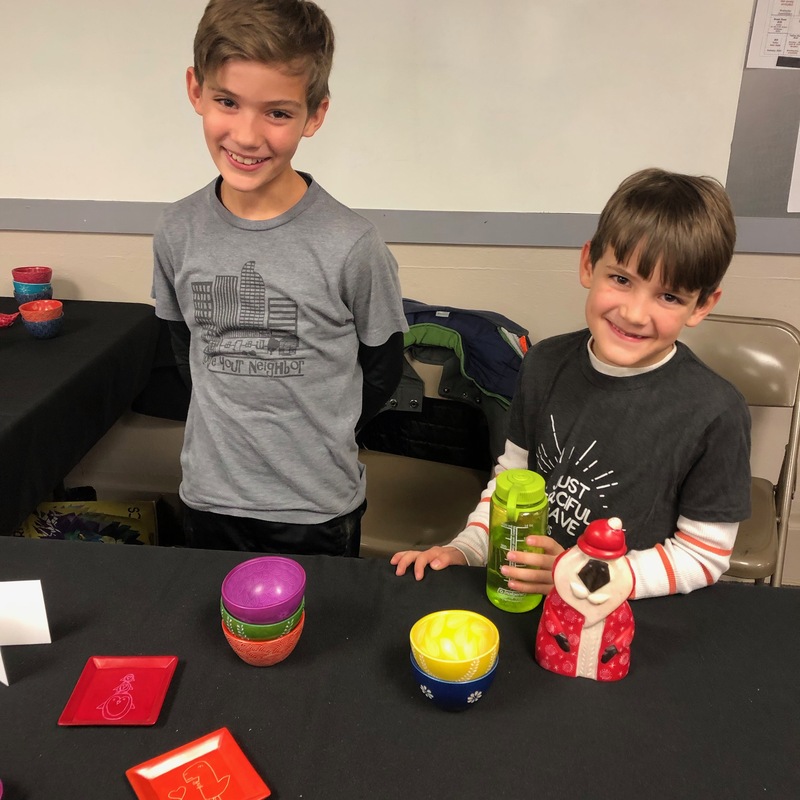 😉 And we continue to enjoy family night at church – Ethan does Cadets and I teach the kids club for the younger kiddos. Micah has opted to stay in there with me and is my little helper. And the guys love doing battles. When Daddio comes back home from a trip, we often put pictures from our weeks up on the TV and tell stories to each other. 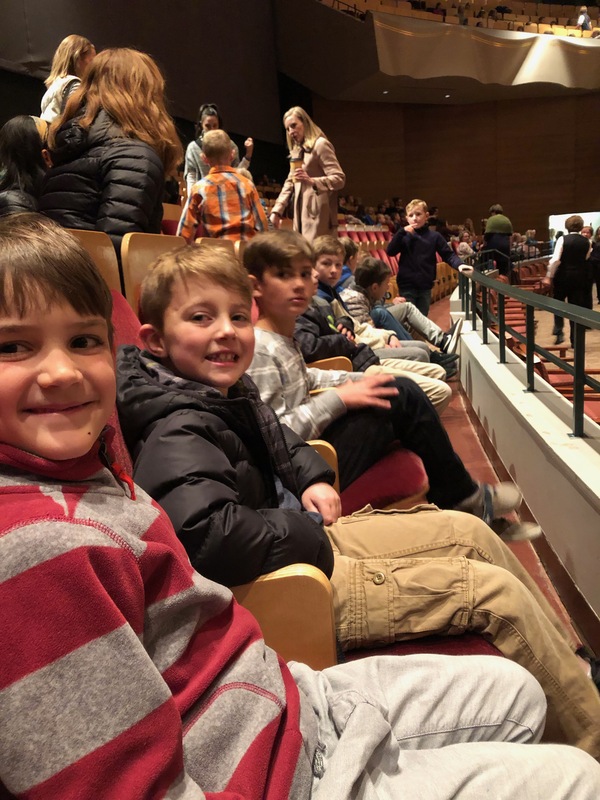 …the boys get to play! But before I get to my bi-annual trip to Atlanta to help my sister with her trade show, I wanted to show a couple pictures from our pseudo one-on-one we squeezed in between our arrival back home and my trip to ATL. Mike and Ethan went to the dentist and then joined up with some of Mike’s friends for golf league. E kept score and hit a few balls here and there, too. He had a great time and we were reminded, again, how sweet our friends are and what a blessing they are to our whole family. While they were out, Micah and I enjoyed playing Legos and played a bunch of games. The following day, I headed to Atlanta. It’s always such a pleasure to go there and help Jennie. I’m super proud of her and her company and the work she does in Kenya, so it’s a “cause” I like to support. But it’s also fun just to spend time with her and interact with her friends. AND, I get the added bonus of seeing some of my friends, too, although this time I only was able to get together with my former neighbor and didn’t even take a picture. =/ Check out that de-licious veggie plate I ordered…it was incredible and I’m pretty sure corn is the main ingredient in fritos. Also, there was chili on top of my fritos because AWESOME!!! Meanwhile, the boys had a lot of fun at home with Daddio. 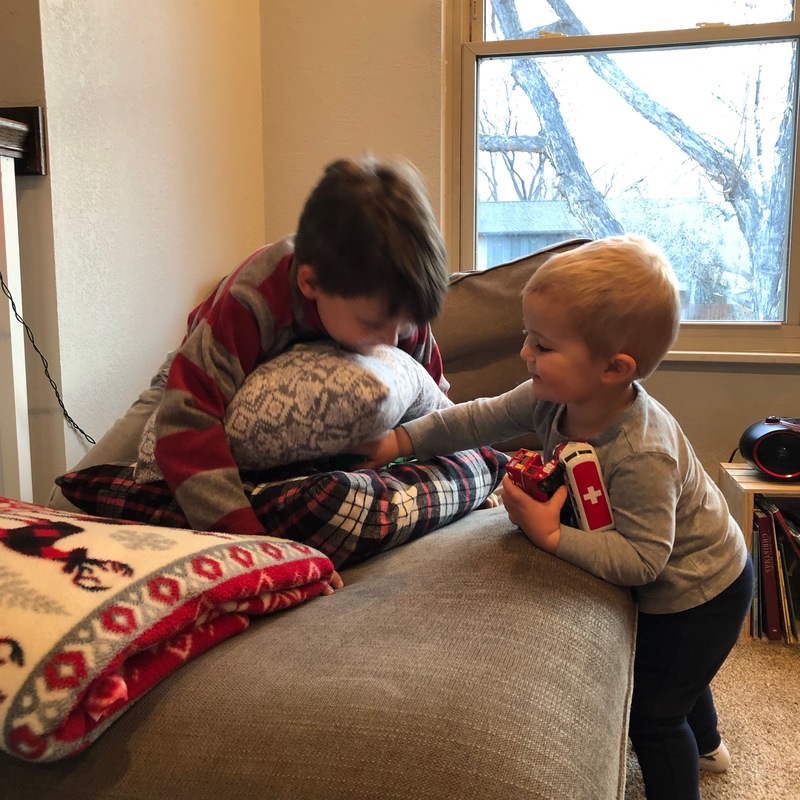 Milestone alert: they had their first sleepover at cousins’ house! They had a great time over there and were definitely tired when they were back home again. It was excellent timing – super helpful for Mike to get good days of work in without disruption! 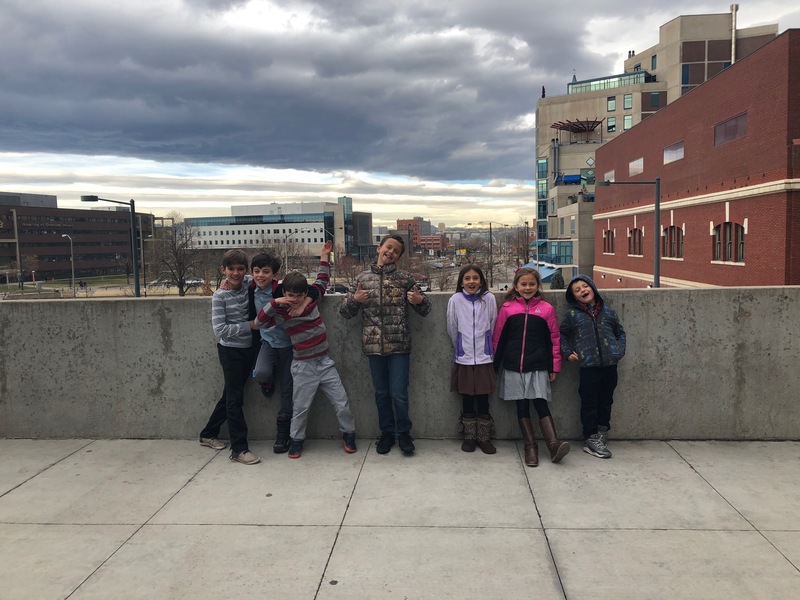 They also went to a Rockies game with Reggie and his grandson and then to the Rapids game (discounted tickets due to the reading program at the library) the following evening. 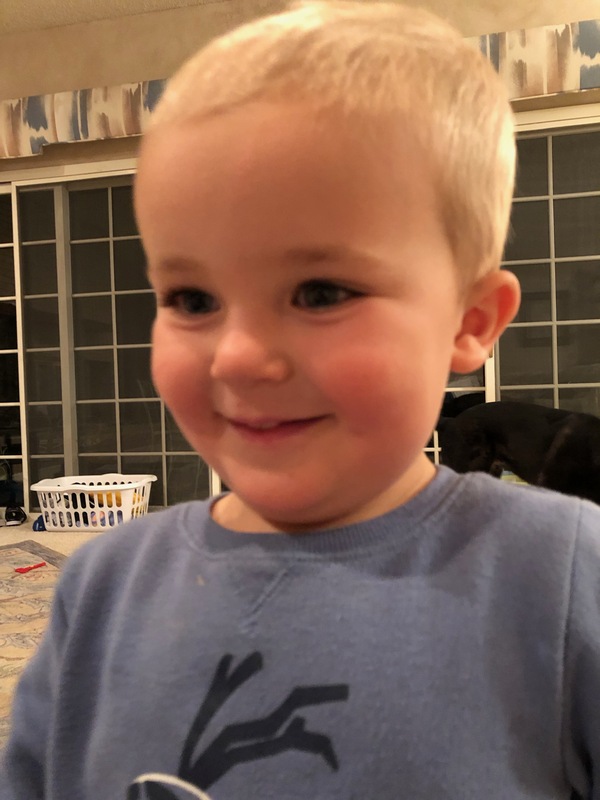 AND, they managed to get Micah a new hat (recall that his former hat is at the bottom of Lake Tahoe), a new/used bike for him (recall the bike accident that ruined his previous bike), and new/used clubs for Ethan. Whew! What a week! This guy…we sure love him!! We walked by cousin, James, every day and said hey to him. =) Famous! Meanwhile, Micah and I enjoyed our week flying solo. 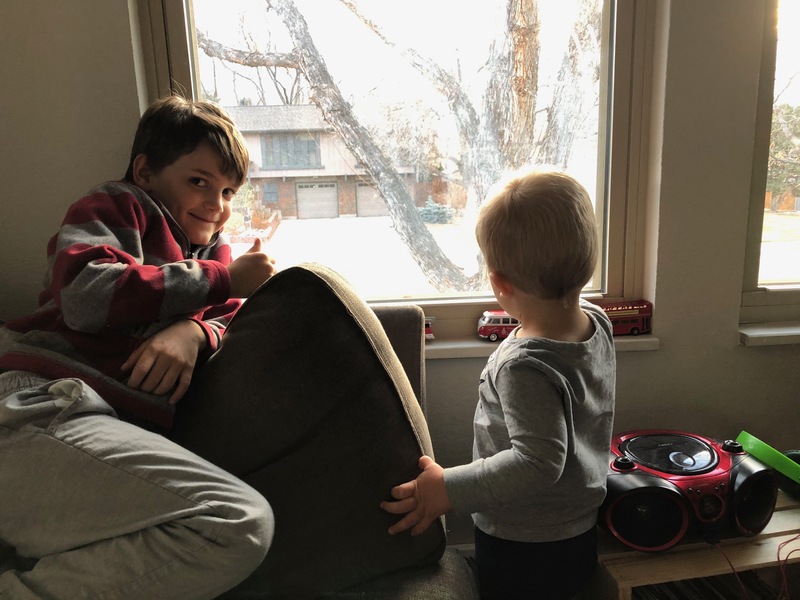 We had a couple playdates scheduled, but also spent some time at home playing and running errands. He grabbed my phone and snuck a picture of his friend and also one of me and one of my friend talking while we were holding babies and it just makes my heart happy to see my life through his eyes. Cadets is a boys’ program Ethan has been participating in all year through our church. It’s for guys in 1st grade through 8th grade, so next year Micah will participate, too. Anyway, every summer they have a campout with the dads. My uncle is one of the leaders, so he played a huge part in organizing the event and two of our cousins were there participating this year, too. I heard nothing but wonderful things about it! One of the traditions of the Cadet Campout is to do some sort of mission project at Long Scraggy. This year they put up a playground. 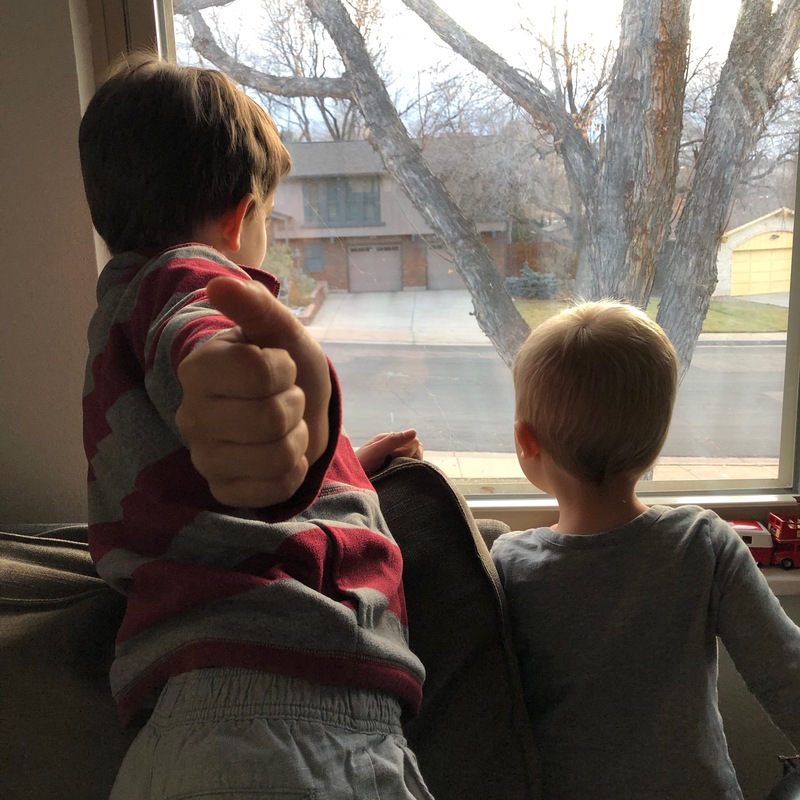 Mike took a pic of E by it knowing that we’ll have a few years to keep snapping this same shot of him (and his bro). After the car was all packed up and they were about 5 minutes away from their departure, Ethan fell backwards when playing with his buddy. A picnic table corner broke his fall and he ended up with a pretty sizable gash in the back of his head. They cleaned him up and bandaged his head and Mike drove out of the mountains to the closest Urgent Care facility. Our brave guy got two staples in his head there and will hopefully have them out already this Sunday. We are all super thankful that I wasn’t a part of this campout. Mike had to warn me via text about it before they arrived and I still had to sit down just to hear about it! Eek. This was the first medical issue we faced with this boy! 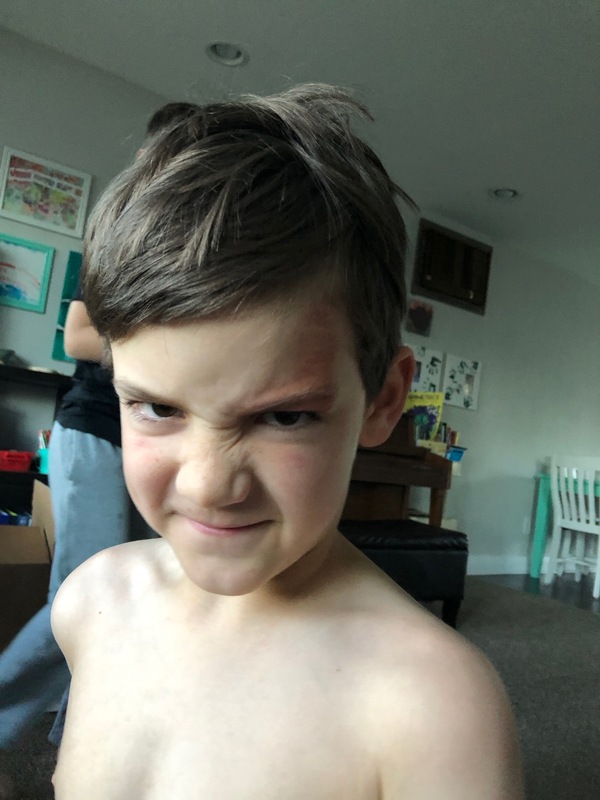 We’re pretty impressed to have made it until he was 9 before he had anything serious happen! 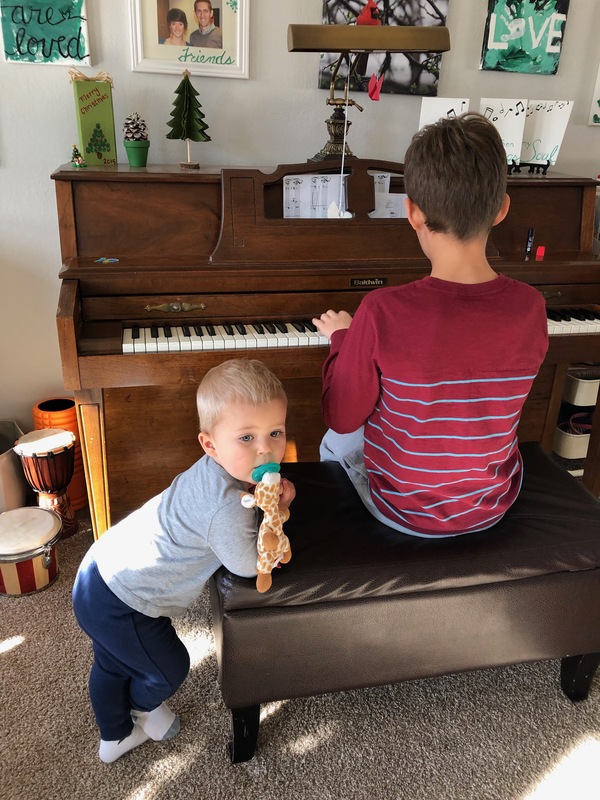 Ethan and our cousin, Matthew, take piano lessons together and have so much fun doing it! They both played beautifully at their final recital of the year. Ethan played a duet with Miss Viss and Hurry Scurry on his own. Matthew played one jazzy song and also a song he had made up on his own. Very impressive!! And right before my parents headed back home, we stopped by their house to meet their new puppy: Bailey! She’s absolutely darling. We sure love having family in town nearby! And we absolutely loved having my parents in town for a visit! Thanks for spending time with us again! While I’m away, the boys definitely play! 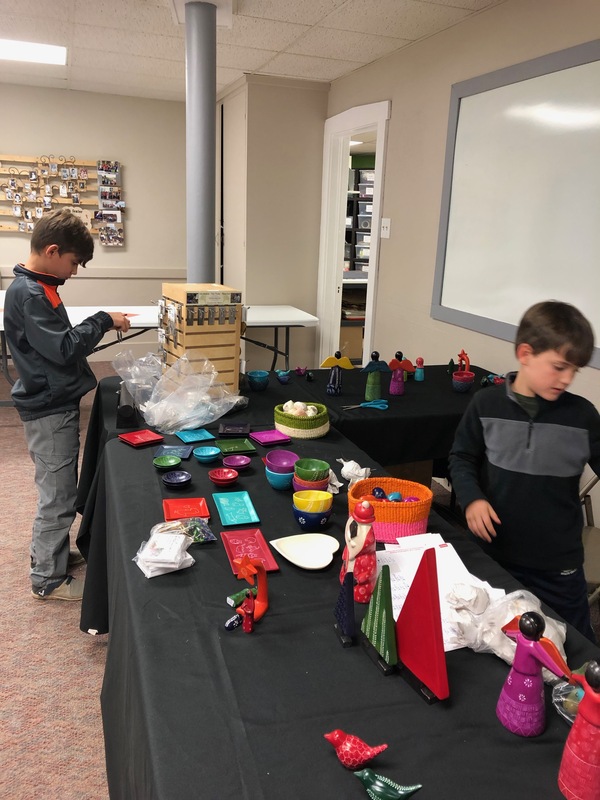 But first, they completed all of the tasks I assigned them for homeschool. I’m pretty impressed with their ability to remain self-motivated and get things done. Mike said they did a good job all Friday getting their work done so that they could play on Saturday and Monday. Daddio is the braver parent and opted to take the boys skiing *twice* while I was gone. They have now officially exceeded my skill level and the amount of times I’ve gone. They had a great time skiing!